Blackthorn Ecology is an environmental consultancy specialising in biodiversity and natural resource conservation. Based in the Midlands and Dublin, we provide sustainable environmental management solutions for private clients and public bodies ranging from individual landowners to government departments. 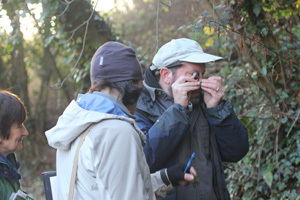 Dr George F Smith is the principal ecologist and director of Blackthorn Ecology, which he established in 2011. George has over 20 years’ experience as a consultant and research ecologist. He is a Chartered Ecologist and a full Member of the Chartered Institute of Ecology and Environmental Management. He received his PhD in Botany from Trinity College Dublin in 2003, where he investigated methods for restoration of native oak woodland in former upland conifer plantations. He is also a graduate of the University of Notre Dame, Indiana (BSc) and of the University of Tennessee (MSc). George has extensive experience of ecology, environmental management and biodiversity. As a professional ecologist, George has carried out numerous Environmental and Ecological Impact Assessments and Appropriate Assessments of impacts on designated areas in a wide range of upland, lowland, freshwater and coastal habitats. George has significant expertise in habitat management, ecological restoration, and practical conservation work. As lead author of the Heritage Council’s Best Practice Guidance for Habitat Survey and Mapping, he has exceptional expertise in habitat survey and mapping. 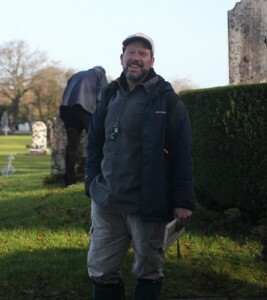 George is a skilled botanist with expertise in higher and lower plants; he is the British Bryological Society regional recorder for Offaly. Examples of how our ecologists have applied these skills are provided in our Projects section. In addition, Blackthorn Ecology can easily supplement our in-house expertise by calling on the assistance of a pool of skilled environmental consultants with whom we’ve successfully collaborated in the past.